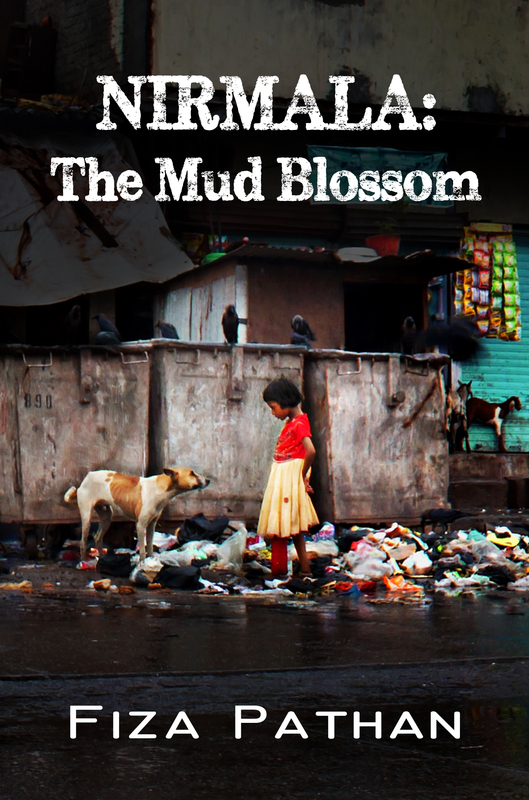 Nirmala: The Mud Blossom is realistic fiction written by Fiza Pathan, set in the reclamation area of Mumbai, India. When the reader first meets Nirmala, she’s being beaten with a belt by her mother for reading a library copy of a Dickens novel, when she should have been washing dishes. Nirmala is the oldest child in the family, and her parents had placed her in a dustbin when she was a baby. A group of NGO workers discovered the baby and returned her to her family, who thereupon bestowed on her the nickname of Mud Blossom. Nirmala cleans, cooks and tutors her younger brothers, and she dreams of the future when she’ll become a doctor. She’s a good student, especially in mathematics, even if her fellow students and teachers make it obvious that her dirty clothes and unwashed state are offensive. Fiza Pathan’s realistic novel, Nirmala: The Mud Blossom is a heart-wrenching and powerful indictment of the treatment of women in India. While I’ve read countless articles and reports about the wife-burning and other abusive practices, this novel brought it home to me as never before, and I was in tears as I finished Nirmala’s story. Pathan’s writing is starkly beautiful as we watch the young girl search for trinkets and treasures in the waste and share her finds with the poorer children. Any justifications for such a disparity in treatment based on gender sound hollow at best, and the reader cannot help but share Nirmala’s dismay at the change in her placid and kind husband when she cannot produce a male heir. Nirmala: The Mud Blossom is painful to read, but it carries a stunning and a essential message. It’s most highly recommended. I will surely read your book, Fiza. There are valuable and powerful ‘Cinderella’ stories in every culture, and every girl or woman who dreams of anything beautiful (and every male around her) should know these stories. It sounds like you’re giving us another inspired and inspiring look into the depths of human nature. I’ll look forward to reading your story, dear lady. « Inter-net-action: How Different Age Groups Are Interacting Online?